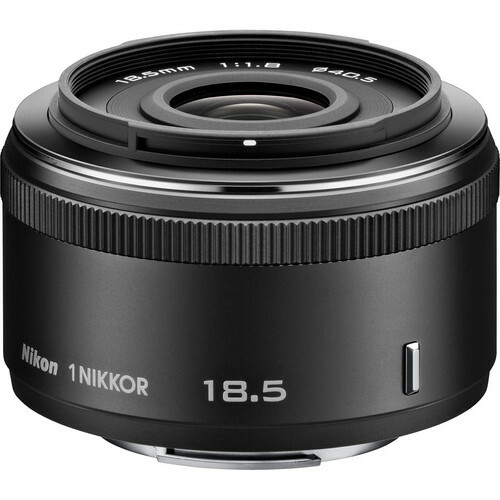 The 1 NIKKOR 18.5mm f/1.8 (Amazon | Adorama | B&H) is one of the latest in the Nikkor 1 series lenses made for the Nikon 1 series digital cameras. One of the fastest lenses in the Nikon’s stable, the 1 NIKKOR 18.5mm f/1.8 has a very fast aperture suitable for low light photography. It is also suitable for creating a soft out of focus background for your portraiture or close up photos. The 18.5mm converts to what is a 50mm on a 35mm format sensor and thus produces results which are exactly what the human eye sees in front of it. The 1 NIKKOR 18.5mm f/1.8 has a very close focusing distance of only 8.4”. As such this lens is also suitable for the purpose of close-up photography. Nikkor’s AS (Aspherical) elements ensures that the lens has a suppressed spherical aberration and much better color contrast in the final images. The widest f/stop is f/1.8 and the lens can stop down to f/16 at the narrowest end. The 1 NIKKOR 18.5mm f/1.8 has a maximum angle of view of 46°40”. It has 8 lens elements and arranged in 6 groups. The lens diaphragm has 7 rounded blades contributing to the beautiful soft bokeh. The 1 NIKKOR 18.5mm f/1.8 takes a filter of 40.5mm. The dimensions of the lens is 2.2×1.41 (diameter x length). The overall weight of the lens is 70 grams making it one of the lightest in the 1 Nikkor series. The lens ships with a LC-N40.5 front cap for the lens and a LF-N1000 rear lens cap.